Reserve Your 2019 Chrysler Pacifica in Miami Lakes! Entering the 2019 model year, the Chrysler Pacifica minivan aims to improve upon itself once again. With new paint colors, an appearance package, and new standard features, consumers will find more to love in America’s #1 minivan. Come to Aventura CJDR to check it out. Powering all trims is the award-winning Pentastar V6 gasoline engine that can generate 287 horsepower and 262 lb-ft of torque. Designed with variable valve timing (VVT) and “Electric-Start-Stop” (ESS) technology, the engine has been optimized for performance and fuel efficiency. 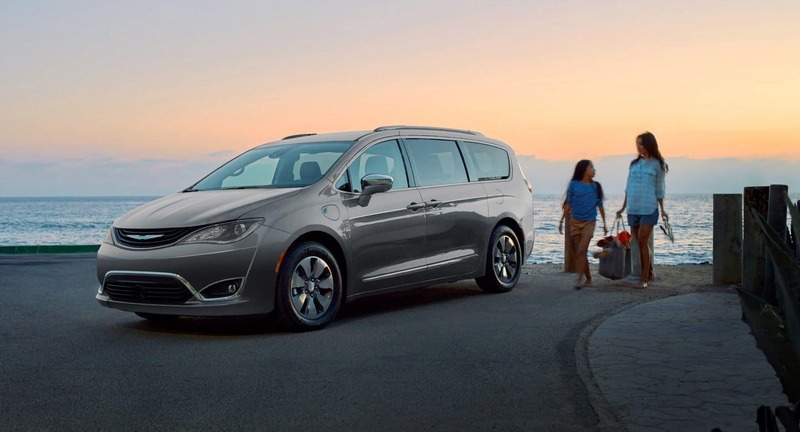 The 2019 Chrysler Pacifica – Family Passenger Vehicle of the Year! The Chrysler Pacifica is the most technologically equipped minivan of its kind – the basic sound system may come with six speakers, but consumers can also find options for a 13 Alpine speaker system, a 20 Harman Kardon speaker system, or a 20-speaker Harman Kardon sound group for surround sound. For keeping backseat passengers busy, the Uconnect Theater entertainment system with two 10-inch seatback touchscreens. Sound good? You can reserve the 2019 Chrysler Pacifica today! Click the button below to reserve the 2019 Chrysler Pacifica today. We’ll give you a call the second we get this safe, family-friendly minivan in our showroom!